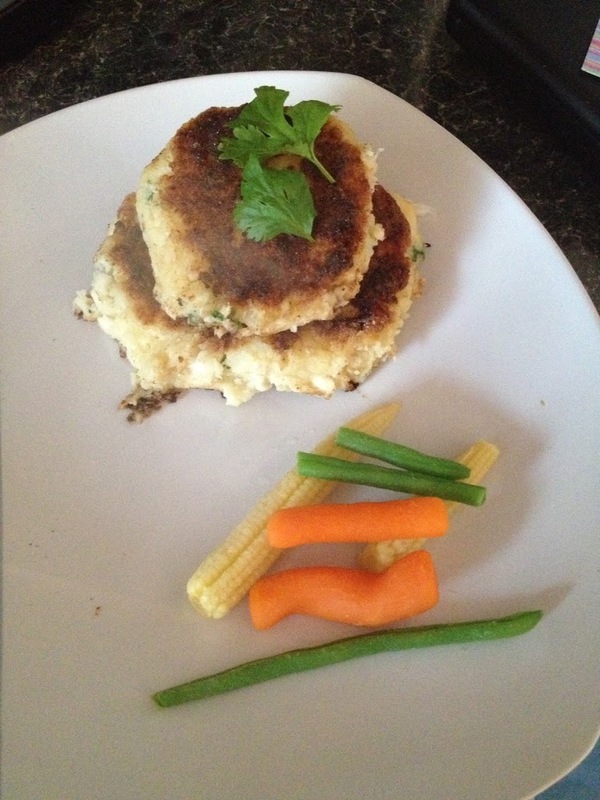 This week a few of the dishes we’ve had is Smoked Mackerel Pate and Haddock Fish Cakes. The recipes are below. 3 tblsp horseradish ( I used a bit more but I like the taste)Put all the ingredients in a bowl or a mixer, I used the hand blender. Blend together until smooth. Put in a tub and store in the fridge until required. 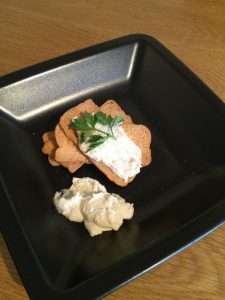 I served this with some melba toast for lunch and we took some on a picnic. The boys loved this, hubby wasn’t too keen, but my oldest Lucas was eating it out of the tub with a spoon. Definitely a big hit. Put the Haddock fillets in the grill and brush with olive oil. Grill until cooked. Only takes about 7 minutes each side. While these are cooking boil the potatoes. Put the fish to the side to cool. Once the potatoes are cooked, mash and leave them to cool. Once the mash is cool, flake the fish into the mash, add in the parsley, chives, lemon juice and the egg. Remove from the pot and make the mash into little fish cake rounds. Heat some oil in a frying pan. Once hot, dust the fish cakes with the flour and place in the frying pan. Fry for around 4 minutes each side. Or a little more or less depending on the thickness of your cakes. I served with some steamed veg. Or you could serve with some horseradish or some salad. These were also a big hit with the boys and hubby liked these too. I think they are a great meal as they are filling and taste great. They can be a little tricky getting the cakes to stick together and look good, I need to master that still.